One of the major new shows that will be featured at Jazzland is "Showboat". 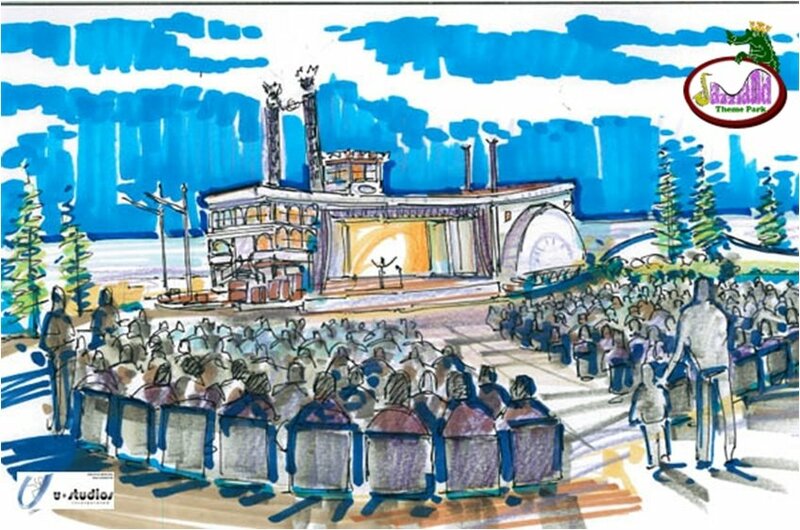 A new Showboat stage will be built on the small lake with new covered seating located where the old skycoaster was. This music and dance extravaganza will be sure to entertain!